Evelyn Lewis' secret dream of marrying her brother's best friend is shattered when he leaves their hometown to seek his fortune elsewhere. For six long years, she's waited and wondered if he would return. After the shocking murder of her parents, her brother is the only family she has left. Refusing to accept a betrothal to a man she doesn't love, she decides to take control of her destiny and confront her parents' killer. Growing up, Alexander Walker has known only violence at the hands of his cruel father. After the death of his mother, he embarks on a journey into the uncharted wilderness to test his resolve as a fur trapper and mountain man. When an impulsive decision leads him back to his childhood home, he finds more than he bargained for. 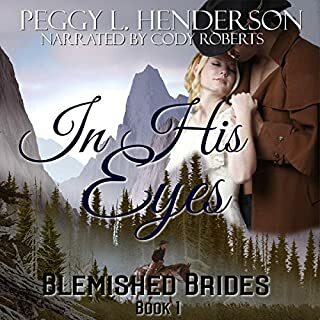 Amid the rugged Teton wilderness, fate suddenly throws Alex and Evelyn together. The quiet protective boy she remembers is now as strange to her as the world she's been forced into. Wary of the hardened man he has become, Evelyn must put her trust in him in order to survive. Alex's memories of Evelyn are of a pesky little girl, but he can't deny his growing feelings for the beautiful and spirited woman she is now. His biggest obstacle in winning her heart may not be her uncertainty of him, but a fear that has haunted him all his life. 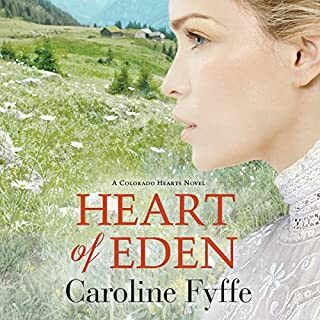 In a primitive and brutal world, can Alex and Evelyn forge a love as solid as the mountains, or will the past come back to haunt them both? Yes! And I have already several times! I promised myself I would only listen to this book when I was on the treadmill...holy smokes! Best motivation I have ever had to exercise! There were times when the only reason I would stop listening is because my legs wouldn't carry me any further. This book is so much more than a typical romance...it's full of danger, excitement, mystery and real-life emotions. I felt like I was actually a part of the story! What was one of the most memorable moments of Teton Sunrise? There were so many moments when I was so totally engrossed in the story. Especially when Alex and Evie are faced with TWO life threatening situations in one day...I don't want to give too much away. What does Steve Marvel bring to the story that you wouldn’t experience if you just read the book? He has AMAZING ability to change voices for each character so that you can immediately identify each person throughout the story. He also brings the exact emotion that is needed in each scene...such a great job! Wow! Especially at the end...I WEPT!!! You must listen to this book...it is incredible! GREAT NEW SERIES FROM Peggy L. Henderson!!!! Where does Teton Sunrise rank among all the audiobooks you’ve listened to so far? I have to say that I was "Captivated" by Teton Sunrise as soon as I started listening to it. 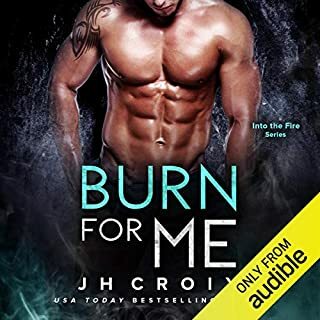 It ranks right up there with the Yellowstone Romance Series, which were my "ALL TIME" favorites until I started this Book!! Now I am "Torn" but in a VERY GOOD WAY!!! What other book might you compare Teton Sunrise to and why? I would compare it to Yellowstone Heartsong. As for why, I have many reasons. I love the setting of these books, and the characters just seem to become a "part" of me. I am able to totally "loose" myself in another TIME & PLACE!!! That very important to me as a listener/reader!! I also feel that the books are so well written, that one can't help but to become totally immersed in the story. It also helps that these books take place in a BEAUTIFUL area, that I have always been very involved with, and interested with. How can one choose just one character as a favorite!! Steve Marvel is a fantastic reader, and he brings every character to life as he reads. I LOVED Alex, and Evelyn, but Laurant was A REAL FAVORITE!! Steve Marvel has a TERRIFIC talent for giving each character their own voice, which brings them to life for me as a listener!! It is almost impossible to stop listening to him bring each one to life!! DEFINITELY!! I found it very difficult to stop listening to this book!!! I enjoyed every minute of listening, and felt deprived when I had to put it down so I could sleep!! FORGET ANY OTHER CHORES THAT NEEDED TO BE DONE!! Once I started listening, I found it VERY HARD TO STOP, UNTIL THE VERY LAST WORD!! I would HIGHLY recommend this audible book to anyone!! 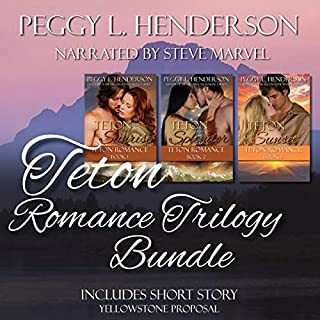 Once I started listening, I knew I HAD TO HEAR THE WHOLE SERIES of the Teton Romance books. Reading them is great, but hearing Steve Marvel bring every character to life, is an experience I find hard to describe!!! One just has to listen, and be totally caught up in every scene!! NOW I CANNOT WAIT TO BEGIN Teton Splendor!! THANK YOU PEGGY L. HENDERSON & STEVE MARVEL for this book/Series!! I felt like I was right there at the foot of those glorious mountains, getting to know each character!!! LOVED IT!!! Would you listen to Teton Sunrise again? Why? Yes I would. I enjoyed reading the book, but listening to the audiobook, bought every emotion that the characters were feeling to life. When I first started to listen to the audiobook, I didn't think I would care for his narrating, but by the time I was into the 3rd chapter, I couldn't picture anyone else reading this audiobook. And the emotion in his voice, had me believing in him, as the character. I thought as the other reviewers, that he didn't have Evelyn's voice right at the beginning, but it grew on me as the story progressed. Yes, there were quite a few, but the ending had me crying and I am still sniffling two hours later. I felt the same way with the ebook but not quite as strongly and I give credit to Steve Marvel's voice and great narrating. When it really mattered, his voice nailed it and for this he gets 5 stars. Hopefully he will be narrating Teton Splendor! This is a sweet love story of a girl raised in civilized St. Charles who due to fate is reunited with her childhood love. He is now a fierce trapper who the Native Americans call Shadow Walker. The narrator, Steve Marvel, is indeed a marvel at accents and various voices. The book would have not been so fascinating had I read it and not listened to it on Audible. The story is exciting with likable characters, and the narrator does a good job, especially with the French accent. If you like Peggy's other series you will definitely like this one!! What made the experience of listening to Teton Sunrise the most enjoyable? I enjoyed the sound of emotions the adventure, the excitement and voices brought to life. 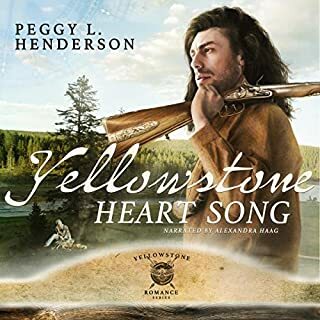 Yellowstone Heart Song because it was in the Mountains of the Yellowstone and had all the adventure and excitement of being in the wilderness. Both books show tough mountain men have hearts full of love and protection for their families. I liked his voice on telling the story and of the men. I didn't care for his voice representing Evelyn. He made her sound whiney and she was not a whiney character. Her character was strong and defiant. Sarah's voice sounded just like you would picture her at that young age. Aimee's voice was right on also. I liked the story and hearing it in audio always brings it to life. Makes the characters have more depth to them. I would place this book in the middle range of all of my audiobooks. Having said that, I have listened to over 300 audiobooks, and this is one I will remember. I loved that this story was not at all predictable. I listen/read a very popular mystery series obsessively, and Ms Henderson completely surprised me in the end. While I really enjoyed Steve Marvel's voice, it is smooth and not distracting, I really did not like how he did Evelyn and Henry's voices. It is difficult to imagine she is raising her voice at Alex when the narrator is doing a high pitched whisper. The ending of the book brought me to tears. Without giving storyline away, it is completely worth the journey to get there. I thoroughly enjoyed this book. It was my first by this author, but it will not be the last. I anxiously await the rest of this trilogy. Despite my reservations about Evelyn's voice, I do hope Ms Henderson stays with the same narrator. This was my 2nd time reading this book and I still love it as much as I did the 1st time! The characters are well developed, which makes you either love them or hate them! This book is full of love and adventure, and takes the reader/listener on the adventure with Alex & Evelyn. Great job Peggy L Henderson, on another fantastic story! This was a very good story. I liked Alex and Evelyn and enjoyed their story. This is the first story I've read y this author and I liked it well enough that I's be willing to read more of her work in the future. That said, if I were you, I'd stop before reading the epilogue. The epilogue is just a short chapter about a different couple that is inconsequential to the story of Alex and Evelyn. It isn't a happy chapter though...ending rather horribly and in a cliffy (so be warned). Evelyn is a 19 year old that was raised in St. Charles, MO. Evelyn's parent owned a farm and she lived there with her parents and her brother. Not long before this story begins, Evelyn's parents are killed and she's left with just her brother. Alex grew up in St. Charles, MO, not far from Evelyn's farm and he was best friends with her brother. His father was abusive and Alex often showed up at Evelyn's farm beat up because he tried to protect his mother. When his mother died, Alex left to take a job with a fur trading company and would probably be gone for years. Evelyn was 13 when Alex left and her brother, Henry, wanted to go with him but had to stay to help run the farm. They didn't hear from Alex and then when their parents were killed a neighbor said that Alex was the one who'd killed them. Evelyn didn't know what to think but couldn't dispute it and had to accept it as truth. She used to be infatuated with Alex and now she had to hate him, even if it was hard sometimes. When Henry decides to do something drastic, Evelyn gets caught in the middle and ends up in danger. Thankfully, Evelyn's danger is ended by Alex rescuing her, even if she thinks she's been rescued by the devil at first. Alex has to take Evelyn as his woman to safeguard her but he's not willing to push himself on her and agrees to a temporary arrangement for her safety until he can take her back to St. Charles. With some time, Alex is able to convince her that he wasn't responsible for her parent's deaths and eventually, their arrangement becomes more. There's a twist in the end and Evelyn is in danger that makes Alex go to great lengths to save her but he does and they're able to start towards a HEA together. * note - The narrator did an alright job but he was rather slow and I had to hike up the playing speed a bit. Incredible story from beginning to end. You'll be on the edge of your seat for the entire tale!